Reporting live from Oktane, the Okta user conference, where we just debuted our new Appdome for SSO+ service and the response is tremendous. 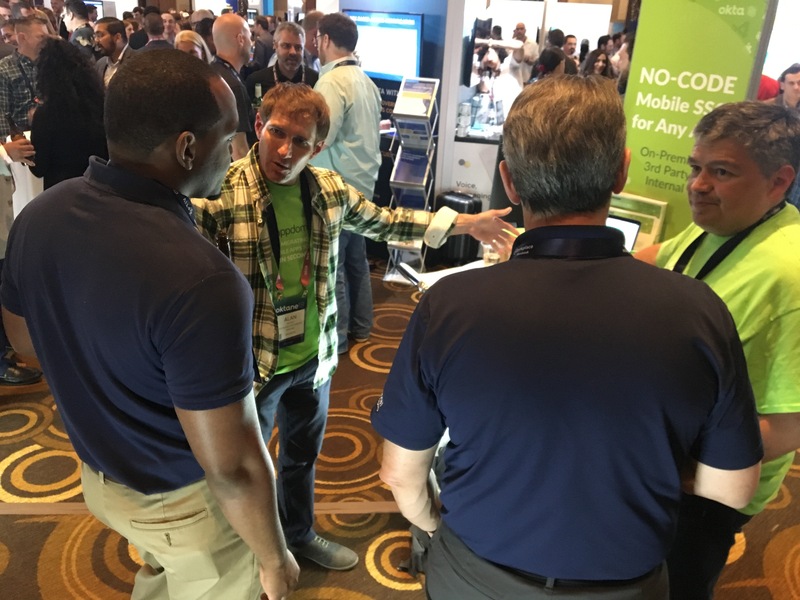 Customers and partners here at Oktane are super excited when they learn that Appdome dramatically simplifies and accelerates the migration of Android and iOS apps to modern cloud authentication services. Simplifies, accelerates and reduces implementation time for Okta services. …all without any coding or changing the back-end of the apps. Now this is Single Sign-On made easy!